« How To Disable Mcafee? Now click on the “Download” tab from the menu on top of the screen. 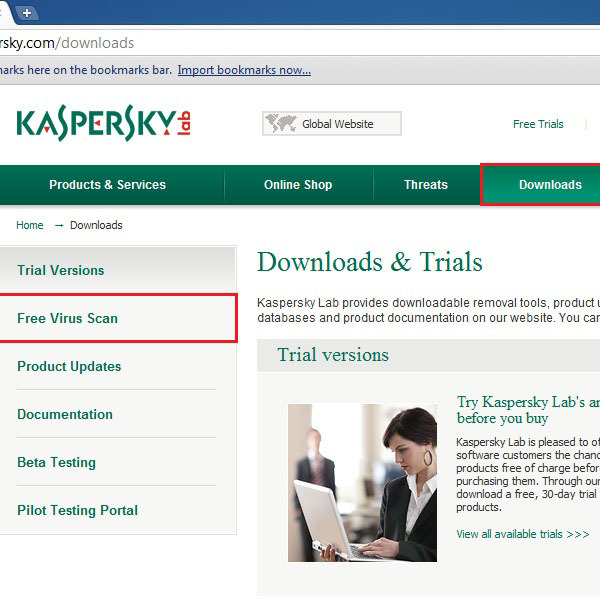 When a new page opens, click on “Free Virus Scan” which appears on the menu located towards the left side of the window. From this page you can download virus removal applications along with other software that help secure your data. It is one of the most powerful antivirus application available online. 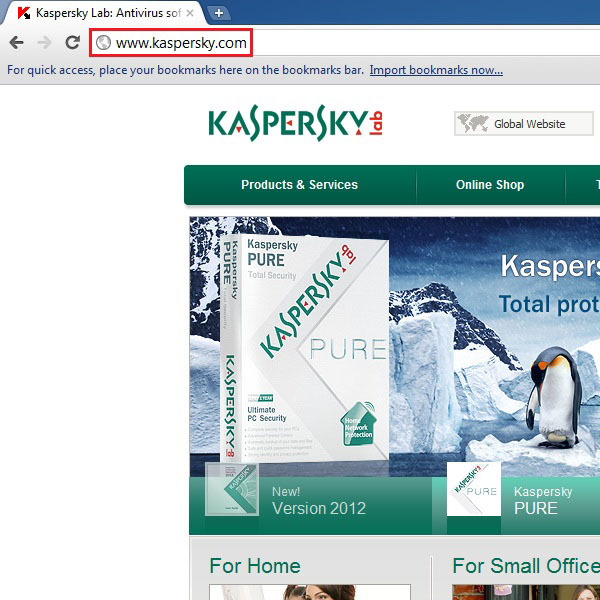 Kaspersky provides a state of the art security tool for your desktop and server based computers. Currently there is no other antivirus that has such command over computer viruses and malware. 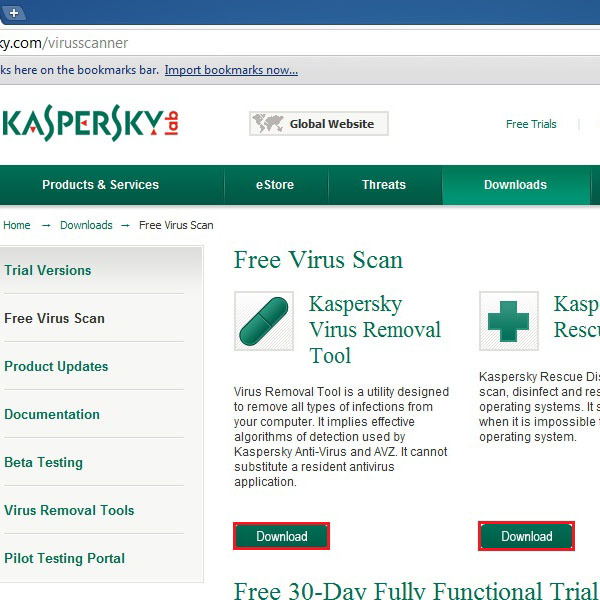 Kaspersky also provides an option to download this application free of cost to help protect your computer against viruses. 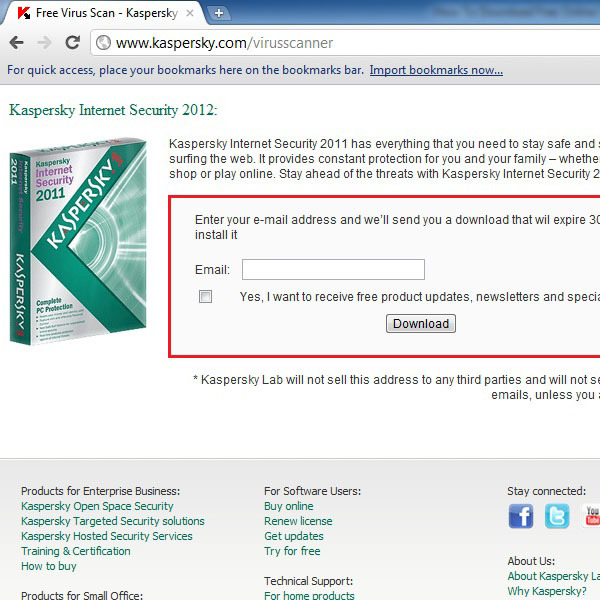 Kaspersky Rescue Disk is basically an antivirus program which is specially designed to scan and protect operating systems against malware and suspicious scripts. It is used at the time of booting or installing an operating system to a new hard drive. To download the application for free, all you have to do is input your email address, agree to the terms and conditions and click on the “Download” button. With that done, you can download a trial version of the application and install it on your system. 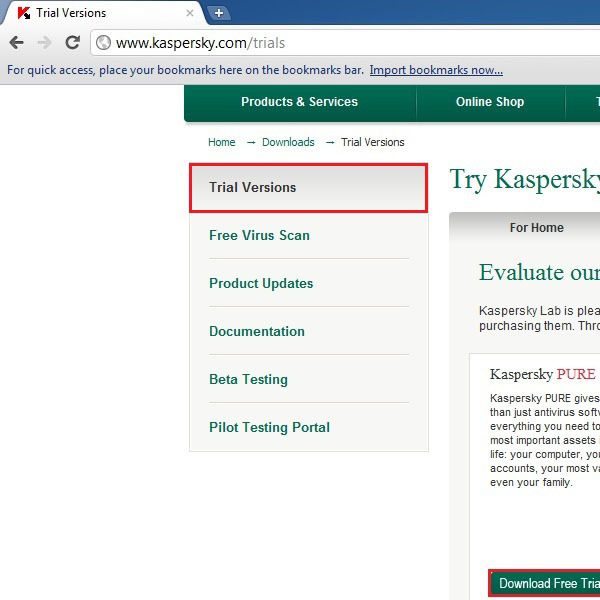 Kaspersky exclusively provides a trial version of every antivirus and protection program it offers. You can download the trial version and reap the benefits of the application for a limited number of days. If you find satisfactory performance than you may go for the final product as well. All you have to do is go to the “Trial Versions” section which is the first option located in the menu towards the left.